The Community & Regional Food Systems Toolkit is a curated collection of action-oriented resources to help practitioners and community groups plan, implement and evaluate a variety of community food system initiatives. 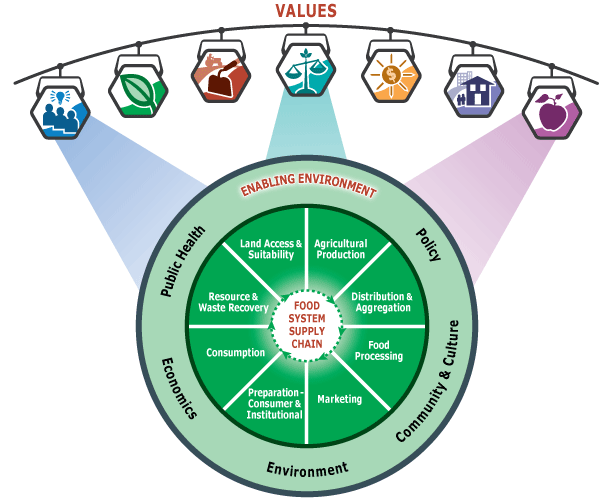 It is based on a framework developed by the Community & Regional Food Systems Project (CRFSP) that links food systems activities with specific social, ecological and economic values that shape community food systems development. Each tool has been briefly described and categorized by CRFSP framework components: Whole Measures value, food system area, enabling environment factor, and program development & evaluation stage. Permission has been sought where possible to host materials directly on this site. Seeking tools to support your project? 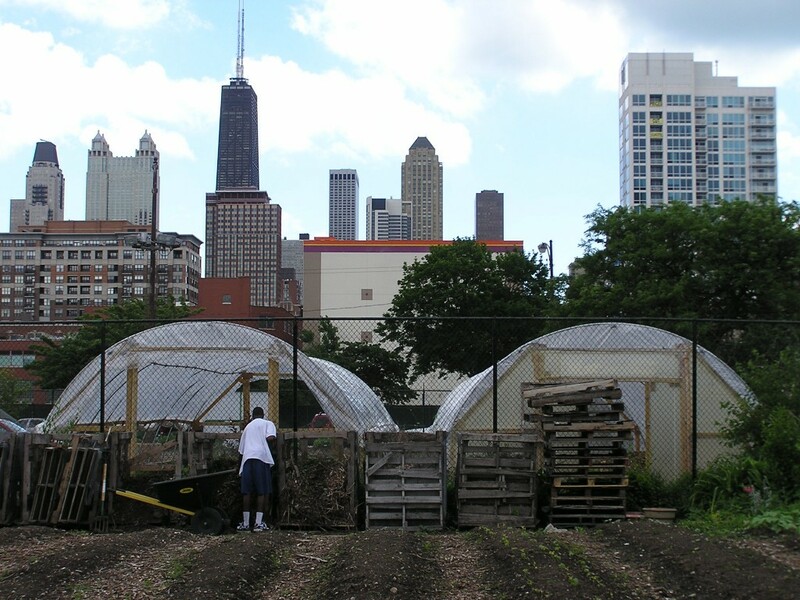 Photo: Community and Regional Food Systems Project, Growing Power Chicago. The way we approach food systems activities shapes the health, environmental, social, and economic outcomes of our food systems. This toolkit builds on the Whole Measures for Community Food System value fields developed by the Community Food Security Coalition and the Center for Whole Communities. Click the image to learn more. Credits: the framework includes Whole Measures for Community Food Systems, developed by the Center for Whole Communities and the Community Food Security Coalition and adapted by the UW-Extension’s Community Food Systems Team.